ATTENTION GEORGIA CAR ACCIDENT VICTIMS! Answer these questions if you have been in an auto accident in Atlanta or anywhere in Georgia. 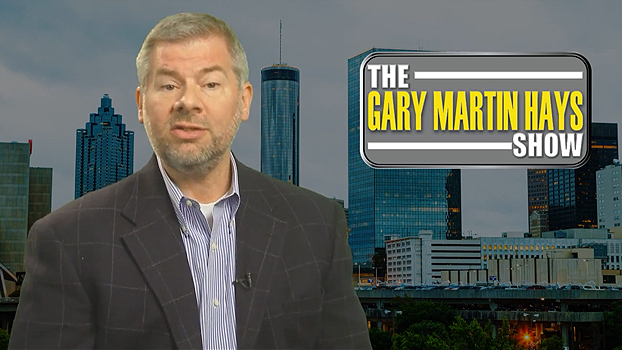 An experienced Atlanta auto accident attorney at the Law Offices of Gary Martin Hays & Associates will contact you and help you with your accident claim. Or simply call (800) 898-HAYS to speak with a lawyer now at our law firm. How can I receive medical treatment after a car accident? Auto accident victims from Atlanta and throughout Georgia ask us this question all the time. They want to get treatment from a doctor or a chiropractor, but they're not sure how to go about it. That's one of the key benefits of retaining our firm after a car accident. We can handle all the details so you can focus on making sure you receive the medical care you deserve after your motor vehicle accident. 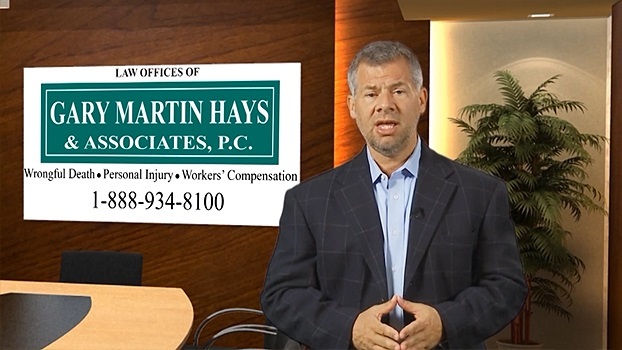 So, whether you want to see your own doctor or receive treatment from a medical doctor or chiropractor, attorney Gary Martin Hays can help you get the help you need. Watch our video above to learn more. Or simply contact us right now and schedule your free case evaluation. Why Visit a Doctor After a Car Accident? Can I get medical treatment after an accident if I don't have health insurance? We hear this question a lot at our law firm. The short answer is yes, you can receive medical treatment after a car accident even if you don't have health insurance. But it's not as easy as you might think. There are often a lot of steps people need to take to get the medical treatment they need without having to pay for it out of pocket. That's why we strongly recommend getting a car accident attorney who has experience handling these cases in Georgia, someone who thoroughly understands the state and federal laws governing car accidents and has the results to prove it. What can a lawyer do to help me get medical treatment after an accident if I don't have insurance? We strongly urge you to contact our law firm as soon as possible.The sooner you call, the sooner we can get to work on your car accident claim. Call the Law Offices of Gary Martin Hays & Associates at (800) 898-HAYS. Remember, you didn't do anything wrong. You shouldn't have to pay for someone else's mistakes. ACCIDENT VICTIM'S QUESTION: Hi, Gary. I was hurt in a car wreck. The other driver was talking on his cell phone and ran the red light. I was taken by ambulance to the emergency room and told to get more treatment. Here's the problem: I don't have health insurance. How can I get treatment for my injuries? We would recommend they find an experienced personal injury attorney who can help them get the medical treatment they need. There are two ways the attorney can help. First, look to see if the person has med-pay coverage on their car insurance. It's like health insurance coverage for all occupants in the car. We get a copy of client's car insurance deck page (declaration page) to see if they purchased med-pay coverage. It's sometimes listed as MPC (medical payments coverage). The insurance company will pay reasonable and necessary medical expenses up to the limits of the policy and it's regardless of who is at fault. If the client has med-pay coverage, they'll just submit the medical bills to the insurance company to get them paid. What happens if the person does not have a car - meaning they don't have car insurance - but they were hurt in a car wreck while riding as a passenger in someone else's car? Then we look at the insurance coverage for the car in which they were riding. If the driver has med-pay, it provides coverage for everybody in the car, even if the driver is at fault. What happens if there's no med-pay coverage? How can a personal injury attorney help the injured person get the treatment that they need? An experienced personal injury attorney can help you find a doctor who is willing to provide treatment through a medical lien. A medical lien is essentially an agreement between the patient and doctor to pay the bill when the case settles. If and when the case is settled, the attorney agrees to the doctor's medical bills. Now, in most cases, doctors are not willing to treat a patient on a lien basis unless they know they have an attorney who can take the doctor's bills. One thing we always stress: if you have been injured in a car wreck, it is important that you get prompt medical care for your injuries. And this should be done regardless of whether you plan on presenting any kind of claim against the at-fault person's insurance company. If you had your health before the wreck, you need to get that back as best you can. And if you are hurt and plan on pursuing a personal injury claim, do not delay seeking medical treatment. The insurance company will use any delays to try to diminish the value of your claims. When an injured person goes to the doctor for medical treatment, what recommendations do you have? You're not being a whiner or a complainer. It's important for the doctor to know what is wrong with you so he can treat you. We always tell our clients this: from the top of your head to the tip of your toes, tell the doctor all of your injuries, for two reasons. First, this will help the doctor better diagnose the injury so they can recommend the appropriate course of treatment. Second, if you don't tell the doctor about all of your injuries, this important information will not become part of your medical record. And insurance companies review your medical records when they evaluate your claim for settlement. It's difficult to get better if you're not keeping your medical appointments. Plus, the insurance company will definitely attack the sincerity of your claims if you are skipping medical appointments. If he recommends home exercises, then do it. If she recommends more medical tests, have them done as well. Keep your attorney updated about your medical treatment. We ask our clients to call us after a doctor's appointment to keep us updated on their treatment and so they can also let us know if they have been referred for any additional testing or treatment with another specialist. Finally, keep track of all your medical bills. Your medical bills are a very important part of your demand package that's sent to the insurance company as part of your personal injury claim. We always ask our clients to send us copies of any medical bills, records or any correspondence from any insurance company. This is a great way for us to make sure we do not miss any information from any of these doctors. Remember, the choice is yours on whether or not to hire an attorney. But you only have one shot at justice, one shot to recover all the cash and benefits to which you are entitled. You have absolutely nothing to lose by calling a lawyer, but think of all you can lose if you don't. If you would like to speak with an experienced attorney about your claim, we make it easy for you. Just pick up the phone and call right now. Call (800) 898-HAYS. The Law Offices of Gary Martin Hays & Associates - Making things right, one person at a time.